Dough is allowed to rest as it travels on the intermediate proofer. The tighter the dough, the more time is needed for intermediate proofing. Alternatively, this time can be shortened by dough relaxers like deactivated yeasts. The shortened fermentation had a negative impact on flavor development. 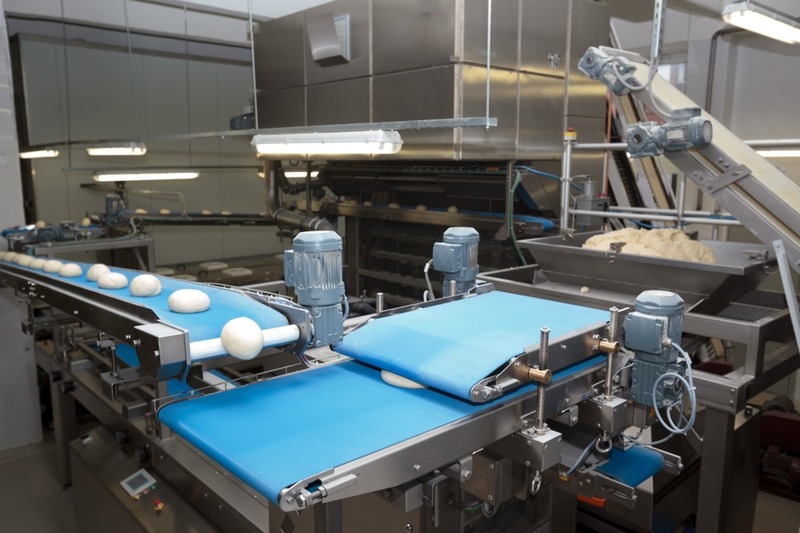 In order to meet today’s demand for tastier bread, brew systems, sponges, and allowing longer fermentation times are being added into the automation process of commercial bakeries. Intermediate proofing was implemented due to the demands of all these automation. The intermediate proof time can be used to influence the final bread cell structure and can take up to 15 minutes, depending on the temperature and toughness of the dough. The intermediate proofing allows the yeast to generate carbon dioxide gas, and therefore, a longer intermediate proof time is critical to make a product like French baguette that has an open cell structure. The changes in dough properties during this period are influenced not only by time and temperature but also by other factors such as reducing agents or proteolytic enzymes that have been used to improve dough extensibility.3 In many plants, the intermediate proofing time is deliberately shortened by the use of these ingredients. The pocket-type proofer is the most commonly used intermediate proofer in commercial baking. Dough balls are transferred onto pockets for the entirety of the resting period. The pockets are then held in frames which are in turn fixed between two chains that carry the swings around the proofing cabinet from charging to discharging stations. A turnover device is incorporated to let the dough piece roll from one pocket to another, temporarily emptying the pocket to dry in case the dough piece sticks to the pocket. The proofer air should be conditioned to prevent skinning or sticking problems, especially when proofing times are long and the water content of the dough is high. Suitable proofing conditions include a temperature range of 26.7–29.4°C (80–85°F) and a relative humidity of 75%.3 Higher temperatures reduce the gas-holding ability of the dough, producing a sticky mass. Temperatures that are too low will not allow proper gas expansion by slowing down fermentation. Lower relative humidity will cause crust formation on the dough pieces leading to hard curls and streaks in the bread crumb.3 If the relative humidity is too high, moisture condensation will appear on the dough surface, giving a sticky appearance. Khatkar, B.S. “Bread Industry and Processes.” Directorate of Distance Education Guru Jambheshwar University of Science and Technology, p. 13. www.ddegjust.ac.in/studymaterial/pgdbst/pgdbst-05.pdf. Accessed 5 September 2017. Decock, P., and S. Cappelle. “Bread Technology and Sourdough Technology.” Trends in Food Science & Technology, vol. 16, no. 1, 2005, pp. 113–120. Pyler, E.J. Baking Science & Technology. 3rd ed., vol. 2, Sosland, 1988, pp. 718–719. Nice information as mentioned in the article I used it in the Bakery. Intermediate proofing is for dough relaxation.